Back from his European tour and in the studio with producing his second album ‘The 8 Year Affair’. 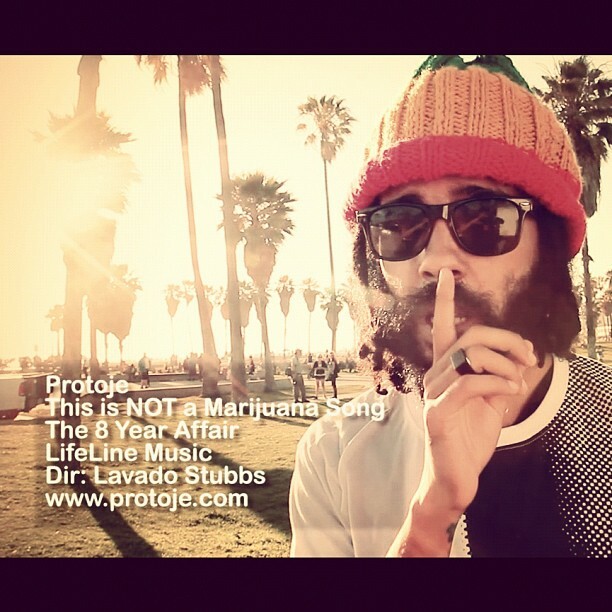 Reggae artist Protoje has released his new music video for the single ‘This Is NOT A Marijuana Song’. The video was shot entirely on Venice Beach in California by Director Lavado Stubbs. I caught up for a little chit chat with Protoje after his performance at Usain Bolt’s Tracks & Records coming soon for o-access JAMAICA TV until then … Enjoy the video!